Welcome to Camosun College! 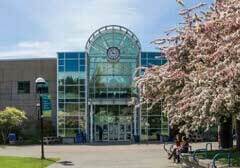 Located in Victoria, British Columbia, Camosun is the largest public college in the province. We focus on teaching students practical skills through our high-quality programs in areas such as Engineering and Technology, Business, Health and Human Services, Sport and Exercise Education, and Arts and Science. We also have a well-known University Transfer program that allows our students to transfer into top universities in British Columbia, as well as opportunities for ESL and Academic Upgrading! We look forward to connecting with you soon! 株式会社 カミリオン・カナダ留学センター Kamilion Education Consultants Inc.